Shopping for pre-owned imports need not be complicated. 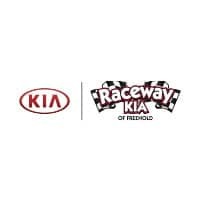 At Raceway Kia, you’ll find a wide selection of luxury vehicles, including popular options like used Mercedes-Benz SUVs and Lexus sedans. These vehicles are stylish and luxurious, but they also offer a wealth of high-tech safety and infotainment features to help you make the most of your on-road experience. Check out our used buying guide to learn more about what you stand to gain by shopping our exclusive selection of pre-owned imports. With so many pre-owned luxury cars from which to choose, you may struggle to find the luxury model that’s right for you. If you’re having trouble deciding between a used Mercedes-Benz S-Class sedan and the Lexus GS, our team is here to help. We’ll give you the grand tour, so you can find the used import car or crossover SUV that’s right for you and your family. You can test-drive as many models as you like before you make any final decisions. One of the best parts about shopping for pre-owned imports is that you save money on the price of a luxury automobile. In addition to taking advantage of an attractive price tag, you avoid major depreciation by buying used. Most cars experience their steepest depreciation rates in the first few years on the road. From there, a luxury car depreciates at a lower rate. When you trade in your used purchase in a few years’ time, you’ll enjoy a better trade-in value than you would if you had bought a new model. For increased peace of mind, you can shop the certified used market. For example, when you purchase a certified used Mercedes-Benz model, you know that it has already passed a thorough inspection for maximum dependability. Certified used Mercedes-Benz cars and SUVs also come with extended warranties and roadside assistance coverage, so, even if something does go wrong, you can count on a quick fix. At Raceway Kia, we want you to get what you want – and quickly. Our finance department will help you explore finance options and create a plan that works with your household budget. Even if you’ve got no credit or bad credit, we can help. Come in today to test-drive our selection of pre-owned luxury cars and SUVs!